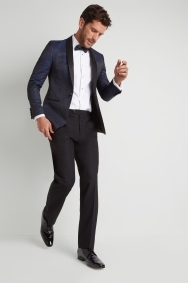 Break from the crowd for your next black tie event. 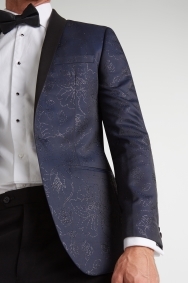 With its navy tone and glitter floral pattern, this jacket will contrast from the usual tuxedos in the room while still looking smart. 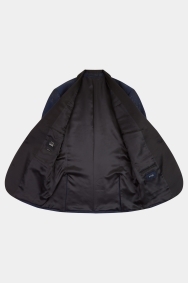 It has a classic tux shape with a shawl lapel, single button fastening and satin detailing. 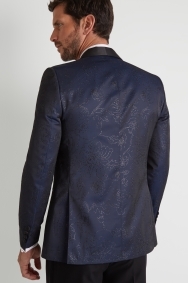 You’ll look sharp in this jacket as it’s cut in a tailored fit that comes in slightly at the waist without feeling close-fitting. Team with a white dress shirt, black trousers and a black bow tie to look the part for formal occasions.